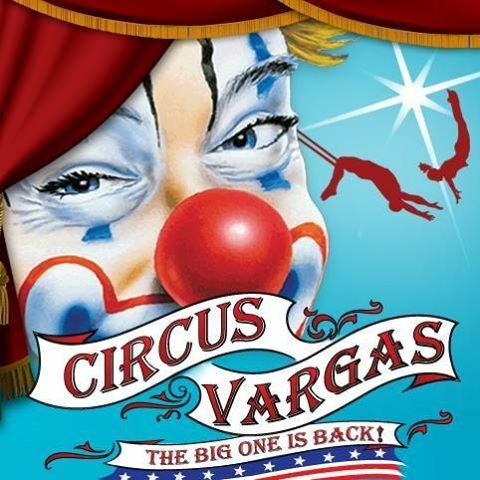 Circus Vargas Delivers the Ultimate Entertainment Extravaganza! A Fantastic Voyage of Nonstop Action and Adventure Guaranteed to Thrill and Enchant Children of all Ages! Death- Defying Acrobats, Daredevils, Flying Trapeze Artists, Jugglers, Contortionists, Comedians and Much, Much, More! Unleash your imagination and discover a world of pure circus magic and wonderment under the Big Top, where memories are made and cherished for a lifetime! Circus Vargas’ Dreaming of pirates&hellip; A true circus treasure! Don’t miss this great opportunity to meet and mingle with the cast! Arrive 30 minutes early for an exciting, interactive pre-show where children (of all ages) can create their own magic under the big top! Children’s prices apply to those 2-10 years old. Under 2 is free (child must sit on adult’s lap). *We are able to accommodate those with disabilities in any seating area. Check with the box office when you arrive or call in advance to reserve. © 2019 ShowClix on behalf of Circus Vargas. All sales are final. Tickets are non-refundable.